But is Mercedes really crazy enough to stick 800 horsepower under the hood of a sedan? After the release of the 680 horsepower Porsche Panamera Turbo S E-Hybrid, a car that seems to be the most action packed Jack-of-all-trades in the industry given its capacity to be a comfortable executive class limousine, Nurburgring monster, and polite fuel sipper, it’s a bit odd to treat the prospect of a hybrid Mercedes-AMG GT sedan with such shock and awe. As competition heats up and emissions restrictions get more strict, the four-door hybrid supercar will become the new high class norm. 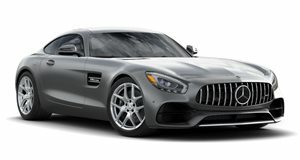 That’s why nobody was too shocked when Mercedes took the wraps off of the AMG GT Concept at the 2017 Geneva Motor Show, though awe was definitely included in the list of reactions given the car’s show-stopping looks, a boon to any Panamera customer holding out for something with a more pleasant rear end. However, AMG boss Tobias Moers’ latest comments to Automotive News seem to confirm that the Merc won’t rely on looks alone to go after Porsche. That’s because Moers has taken the next step and confirmed production of a hybrid version of the AMG GT Concept, a car that is already slated for a dealership appearance by 2019. When asked about the possibility of the hybrid, Moers replied with enthusiasm. He said, "Yeah, why not? Because we are not able to change the future. We have to adapt to these new requirements and regulations, and we have to move forward and find new innovative solutions.” Weeks ago Moers went on record to say that Mercedes-AMG would do its part to preserve the twin-turbo V8 engine by using hybrid technology, allowing drivers the pleasure of a sonorous exhaust note, eight-pot bragging rights, and compliance with fuel economy regulations when using the AMG as a commuter. Given that the four-door AMG GT will share bones with the E-Class Mercedes, it’s not too far-fetched to expect the same 600 horsepower engine from the AMG E63 S to reside under the fastest AMG GT sedan variant. With electric motors juiced up using plug-in hybrid hardware, power could skyrocket as high as the 800 horse mark, far outstripping Porsche’s equivalent. The interior will get a few E-Class bits and bobs as well but Mercedes will task its interior decorators with adding a bit of performance flair to the four-door supercar. For now, let’s save any fighting words for the track.